Traditional design with a European country flavor. 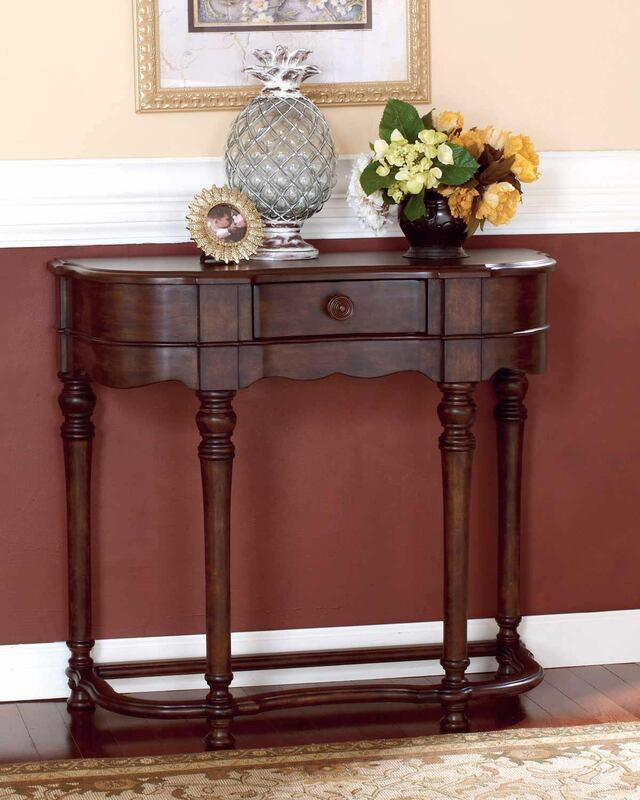 With rich finishes and Old World details, the ornate beauty of the Brookfield Sofa Table by Ashley Furniture captures the true sophistication of finely crafted furniture. This occasional table collection creates an atmosphere of Old World design with European country flair. 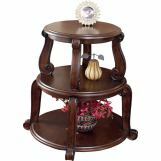 With a rich brown finish flowing smoothly over these pieces and a working storage drawer, the "Brookfield" occasional table collection easily transforms any living area with an ornate Old World beauty.